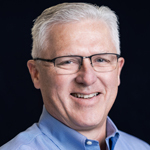 Prior to joining ESG, Kevin spent several years as a consultant to senior executives at Microsoft, Cisco, Dell, Citrix, and other companies concerning their partnering and go-to-market strategies, programs, and execution. As an affiliate of PartnerPath, Everything Channel/IPED, and The York Group International, he has helped companies ranging from small, emerging growth firms to global industry leaders across the technology landscape develop loyal, committed partners. "The channel" remains a crucial connection between the vendor and user communities, but like everything else in IT, it has evolved. In this discussion, Kevin Rhone considers some of the key changes for channel partners in recent years.